BAP OFFICIAL E-BLAST - Self-care at Any Age: Open to the Public - April 29, 2017! Self-care at Any Age: Open to the Public - April 29, 2017! 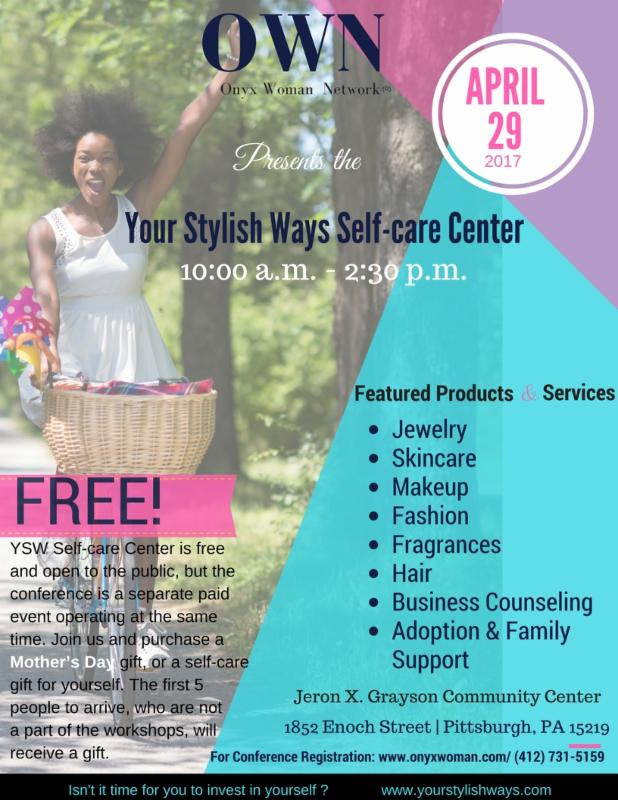 YSW Self-care Center is free and open to the public, but the At My Age conference is a separate paid event operating at the same time. Join us and purchase a Mother's Day gift for mom or for yourself. The first 5 people to arrive, who are not a part of the workshops, will receive a gift. Time: Registration 9:15 a.m.; Conference: 10:00 a.m. - 2:30 p.m.